D.G. 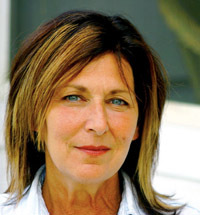 Fulford is the best-selling author of several books, including the classic To Our Children’s Children, which she wrote with her brother, Bob Greene. 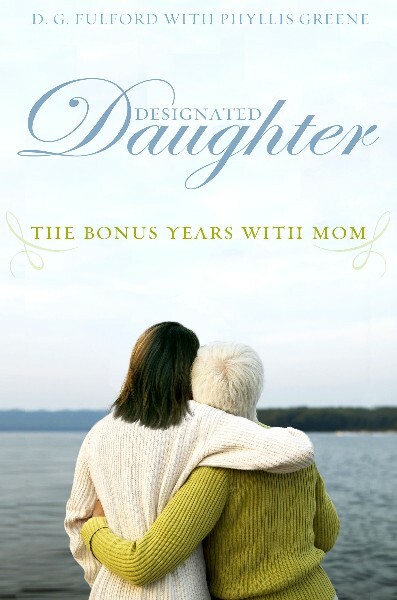 Her latest is Designated Daughter: The Bonus Years with Mom (Voice), a funny, poignant, and heartwarming look at the joy and privilege of sharing time with her aging mother as they walk the road together toward journey’s end. Part of an enormous demographic, middle-aged baby boomers with aging or aged parents, the ‘designated daughter’ is the person in the family who can be there with consistency. It is ultimately the uplifting story of how, after her father’s death, she returned home to become her mother’s closest companion, a move that brought her more in return than she could ever have expected. These books helped launch Fulford’s career as a speaker on myriad topics relating to preservation and importance of family history and navigating the difficult role of becoming a caretaker to one’s aging parents. She now speaks to genealogical societies, retirement communities, women’s groups, medical organizations, including hospices and caregivers associations, across the country. She shares her message that these bonus years with parents can be looked at as a time of tender bounty, an opportunity for growth, strength, gratitude, and love. This extra time is a gift for adult children, a time to spend together, both of you leaning and learning. Fulford is the co-founder of TheRememberingSite.com which makes writing family history easy and fun. An in-demand speaker, she has spoken to retirement communities, groups of adult children, care giving groups, literary centers, genealogical societies, and scrapbooking conventions all over the country. She has also been a guest on Oprah, the Today Show, Good Morning America, and NPR. Fulford is also the author of Things I’d Love You to Know: A Journal For Mothers and Daughters, a do-it-yourself memory book where each page shouts tribute and gratitude, and the chance to tell another story, and One Memory at a Time: Inspiration and Advice for Writing Your Family Story. She is the co-author To Our Children’s Children: Journal of Family Memories, Notes on the Kitchen Table: Families Offer Messages of Hope for Generations To Come, To Our Children’s Children: Preserving Family Histories for Generations To Come, a warm, accessible, step-by-step guide to creating precious personal histories,with her brother Bob Greene. Fulford lives in Columbus, OH. -Melissa Gogonelis, Greystone Communities, Inc.